It looks like Cross Server Alliance chat is not working for our server at Kabam Server 1, please see screen shot, it is not only me, if you read on screen shot, another player on my server said the saime thing. 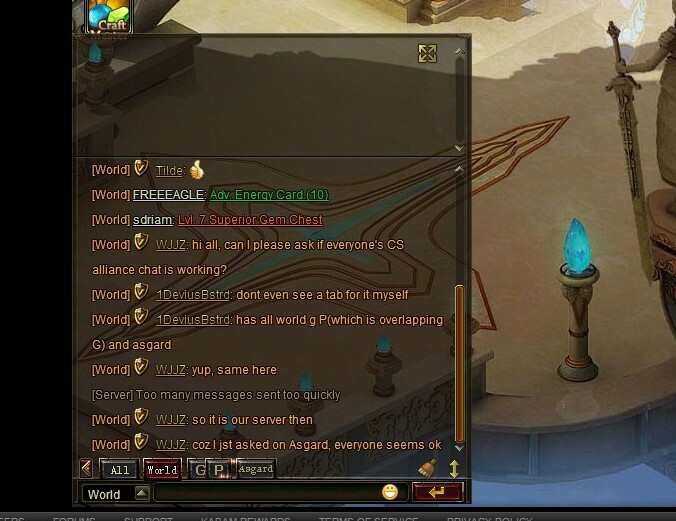 Alliance chat is overlapped by team chat (P) and Asgard chat. Please get it fix ASAP, I rather like my Alliance chat. Thank you for your prompt action akumi, much appreciated. 2019-4-22 02:56 GMT+8 , Processed in 0.049173 second(s), 38 queries .